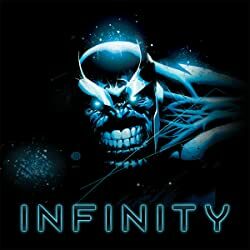 INFINITY TIE-IN! 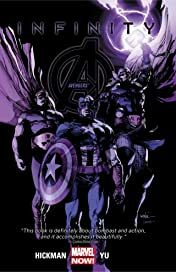 Deep in space, the Avengers join the Council of Worlds as they declare war on their cosmic invaders. 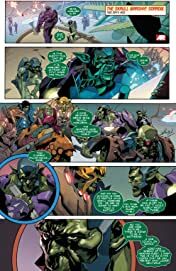 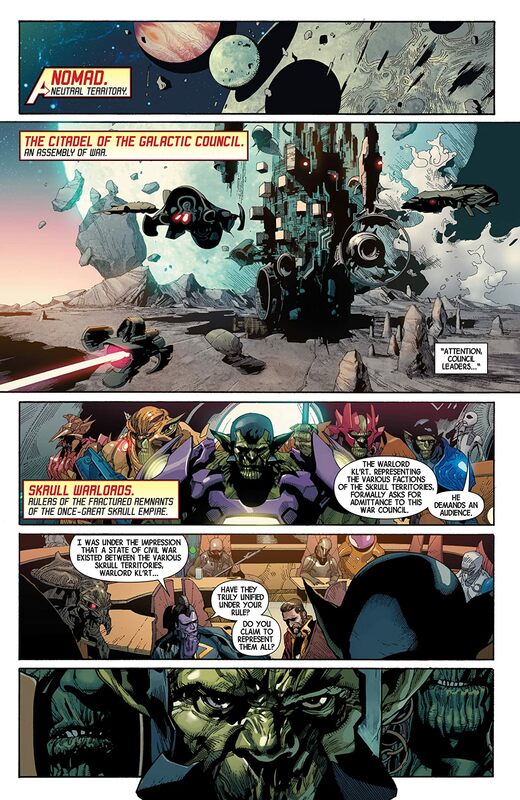 As the Skrull Empire is reborn, witness the first encounter with the Builders! And when betrayal strikes the Galactic Council and the Avengers find themselves prisoners of war, one last desperate plan is hatched! 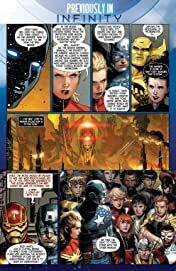 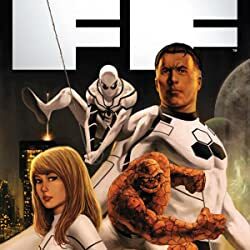 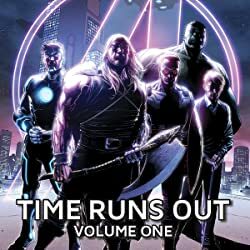 The Builders make unexpected overtures, Ex Nihilo re-enters the picture, and the final battle for the Marvel Universe begins. 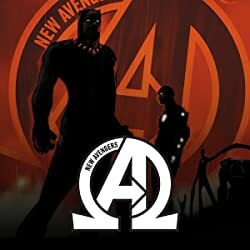 Galactic empires fall and rise - and as Earth is targeted, the Avengers race back to their own solar system. But will they be in time to stop the Black Order from making their move? 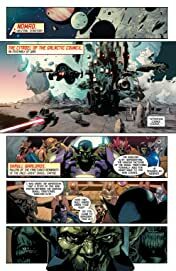 Or will Thanos' mad plans conquer all life?